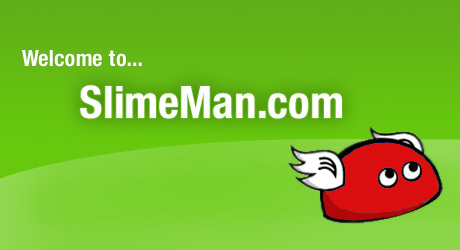 Welcome to SlimeMan.com with have one of the largest selections of Slime Games available. So why not check out the Slime Page Now! After reciving your feedback we have added the Copter game you can get to it by clicking the link below or by clicking the Copter Game tab at the top of the page. So why not check out the Copter Game Now! In addition to our Slime Games we have lots of arcade games so why not have a look (and a play)! So why not check out the Arcade Game Page Now!